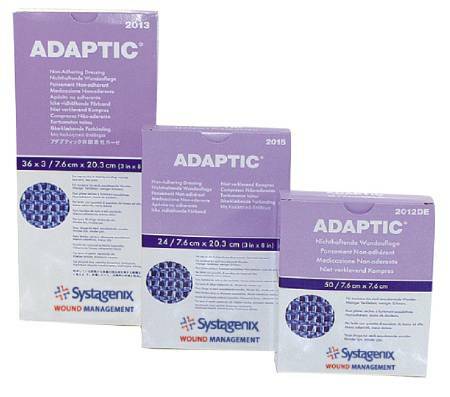 Adaptic Non Adherent Dressing is non-adherent to prevent dressing from sticking to wounds. Made from knitted cellulose acetate, impregnated with petrolatum emulsion. 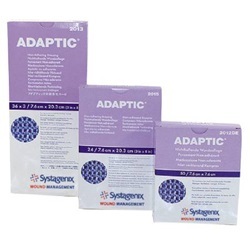 Exudate easily passes through to the absorbent dressing and can be cut or trimmed without unraveling or shredding. Comes in 3 x 3" squares that are white and sterile. Comes in a box of 50.